The next generation of the Ram 1500 half-ton pickup truck is expected to come out in early 2018, but apparently the company’s planning to continue selling the truck’s current design alongside the new one into 2019. The purpose of keeping the old truck around, in theory, would be to keep a low-cost option around for fleet customers. And that could be an effective way for Ram parent company Fiat Chrysler Automobiles to give its truck sales figures a nice boost going into the first year of the truck’s redesign. Automotive News is reporting that an anonymous source informed them Ram’s “current light-duty pickup will continue production at Warren Truck Assembly in suburban Detroit and in Saltillo, Mexico, into 2019.” Auto News went on to detail that those plants are slated to churn out 200,000 current-gen Ram trucks in 2018. During that same period of time FCA’s Sterling Heights Assembly facility is supposedly planning to build some 325,000 new Rams. After that at least another 65,000 current Rams (which will then be “old”) are apparently planned for 2019. 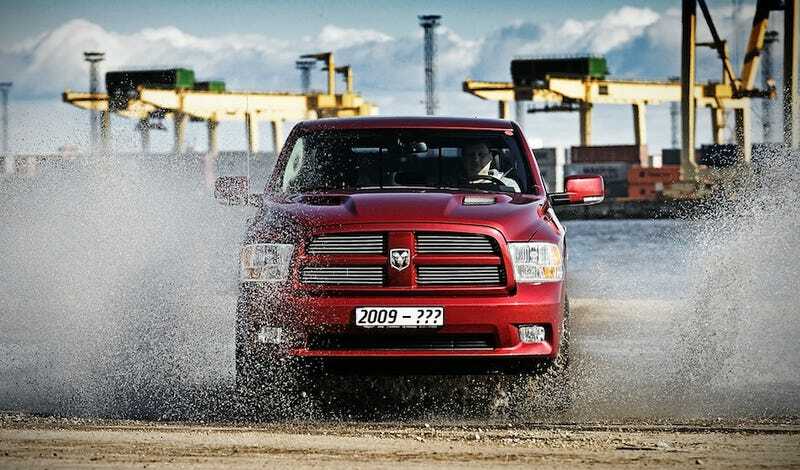 The half-ton Ram truck is currently in its fourth generation, which was launched in 2009. Update: I originally thought that was also the same year “Dodge Ram” became “Ram,” and it was, but the ’09 truck was actually still marketed as a Dodge. The “Ram” announcement was made in November 2009. As far as FCA’s corporate history goes, that’s when Ram became the Ram we know it today. But as some readers pointed out to me, that first year of the fourth generation truck was still a Dodge. We still haven’t heard any suggestions of Ram offering something resembling a “mid-size” truck as a cheap pickup option in the United States. If this report about keeping the old platform around a couple extra years is true, this might be the company’s plan to compete with fleet-spec Toyota Tacomas, Chevy Colorados and Nissan Frontiers. Or maybe FCA’s just hedging its bets against buyers hating the 2018 Ram truck’s design, like Ford did with the F-150 Heritage in 2004 and Land Rover did with the Range Rover Classic in 1995.